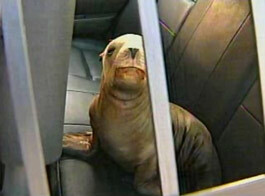 The Police was chasing in San Francisco a baby sea lion! 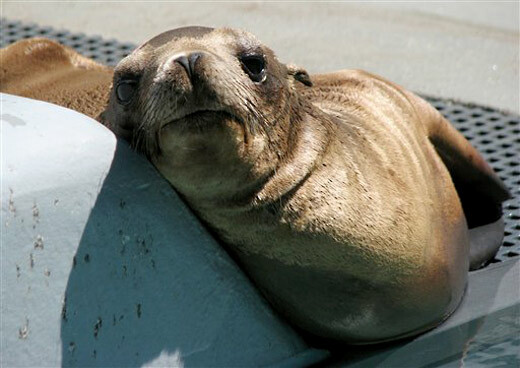 A little sea lion strayed on the streets of San Francisco was “walking” along California freeway. 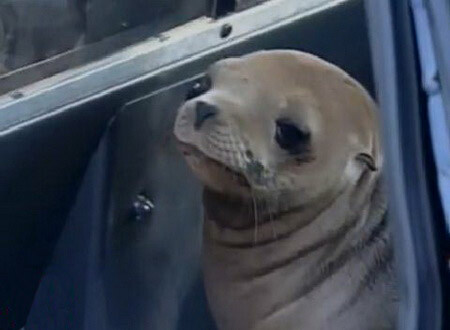 The baby sea lion apparently left the San Francisco Bay and it stuck on the freeway, right into rush hour traffic. The drivers in San Francisco was shocked when on the freeway was walking a little baby sea lion and started calling authorities. When several officers later tried to get him but the sea lion wasn’t so cooperative. It jumped out of the patrol car and hid for several minutes. 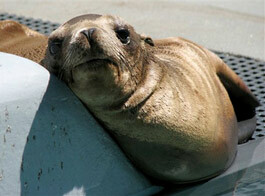 The sweet baby sea lion was taken to The Marine Mammal Center in Sausalito where will be nourish before releasing. “I’m sure it was pretty traumatic to go through what did today,” said Jim Oswald a spokesman for the center. “But it seems to be doing fine.” – He added.